Unlocking the value of AI to accelerate strategies for intelligent automation and cost management, growth and customer engagement, and risk and regulatory policy. Artificial intelligence expands the spectrum of human cognition and capabilities. KPMG Artificial Intelligence capabilities – grounded on a foundation of best-of-breed technology, steeped in deep-rooted domain knowledge and trusted data and analytics – were built to help our clients unlock the value of AI to accelerate their strategies for intelligent automation and cost management, growth, customer engagement, risk and regulatory policy. AI is fundamentally reinventing how businesses operate, compete and thrive. KPMG professionals work to help our clients lower labor costs, increase workforce capacity, increase quality and ultimately deliver more insights - more consistently. 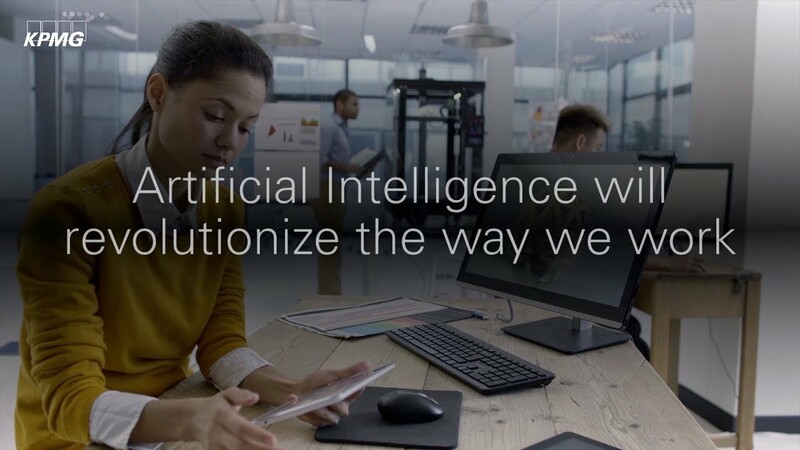 At KPMG, we help our clients realize the promise of AI by providing insight on what tools to innovate with, and offering outcome-driven pragmatic approaches on how to implement sustainable processes built on AI insights. To learn more about The Power of AI and KPMG Ignite, contact Traci Gusher or Brad Fisher. Ignite is KPMG’s portfolio of artificial intelligence capabilities. It includes domain expertise, proprietary and integrated open source tools, frameworks, and patterns, as well as strategic technology partnerships. The KPMG Ignite ecosystem helps enhance, accelerate, automate and augment decisions that drive growth and profitability. AI -- combined with deep industry and analytics expertise -- helps clients embrace intelligent technologies confidently and responsibly. KPMG Ignite includes an ecosystem of technology partners - with open source tools, libraries, and APIs - that we use to build and deliver AI solutions, including Google, IBM, and Microsoft. KPMG Ignite can leverage the best fit open source solutions for each use case. This flexible framework allows tools to be added to or removed from a pipeline to meet client needs. Solutions can be delivered from the KPMG Lighthouse technology stack, on-premises, or in the cloud. Widely-adopted technologies that have been incorporated into KPMG Ignite include Tesseract, TensorFlow, Theano, Spark, Keras, NLTK, Stanford CoreNLP, and Tika. KPMG Ignite includes KPMG-built AI accelerators and tools to enable rapid AI solution development and delivery. Intelligent automation patterns give us ready access to methodologies supported by technology as well as our proprietary code. Our established and standardized patterns describe consistent sets of human activities that can be automated using technology. These automated patterns serve as pre-configured building blocks that accelerate the development of new solutions. KPMG Ignite includes a set of frameworks and methods that describe and guide how we approach client-specific AI solutions and make them repeatable. AI Strategic Transformation Toolkit is the methodology we use to set up repeatable AI capability and function for our clients, regardless of the role that AI is playing or the problem that AI is solving. The outcome of our 8-step method ensures that the solution is repeatable and sustainable and that the transformation is embedded inside the organization. Our highly skilled data scientists and engineers leverage their domain knowledge and build AI solutions that are custom-fit for each problem. These teams support clients across multiple engagement models at KPMG Ignition locations, onsite sitting side by side with our client teams, and through our Intelligent Automation Lab. KPMG devotes significant resources to AI research and experimentation. Resources working in the KPMG Ignite ecosystem all have innovation goals which require them to spend a portion of their time exploring the AI frontier. Innovation takes many forms -- including prototype experiments, independent or university teamed research, tool testing, training development, and much more. Recent experimentation projects include signature detection, conversational intelligence agents, automated audit processing techniques, “always-on” predictive analytics, financial crime monitoring, and cognitive enabled hiring. Explore how KPMG has helped clients integrate people and machines, leveraging disruptive technologies for competitive advantage. Explore KPMG’s view on Trusted Analytics helping increase revenue, reduce costs and manage risk throughout the enterprise.